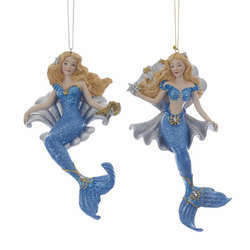 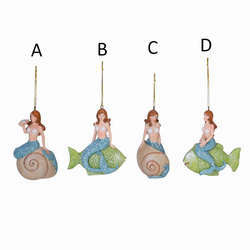 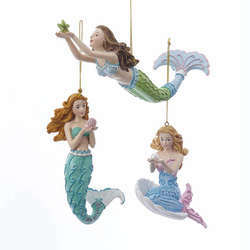 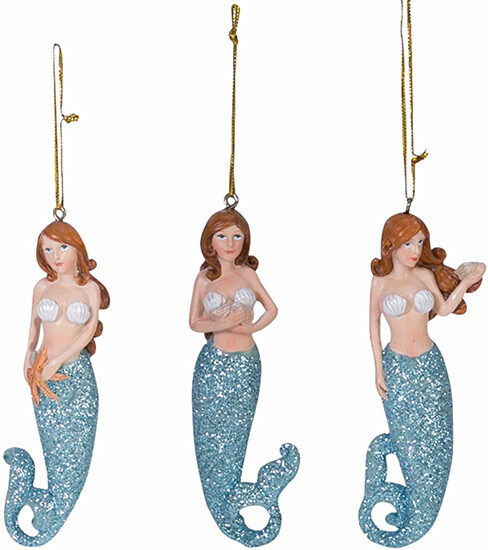 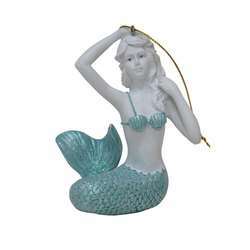 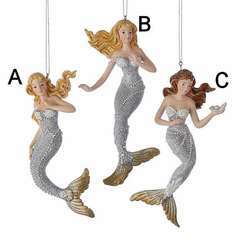 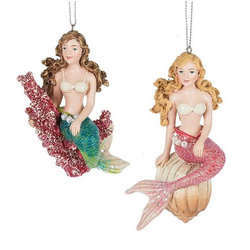 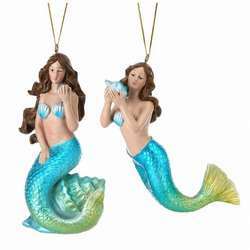 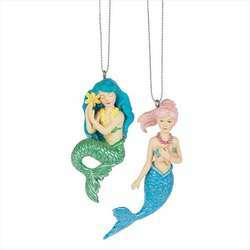 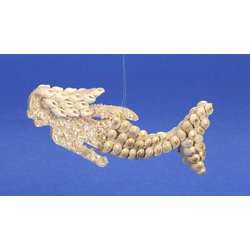 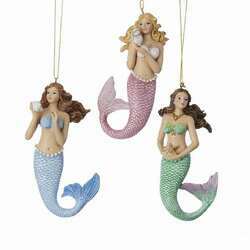 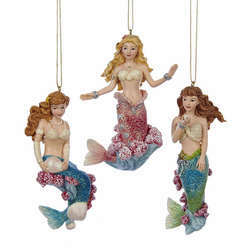 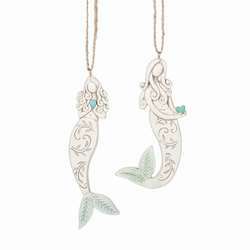 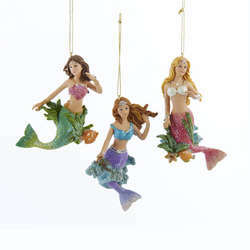 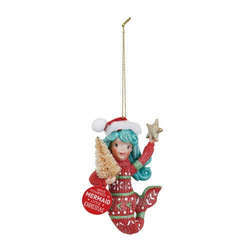 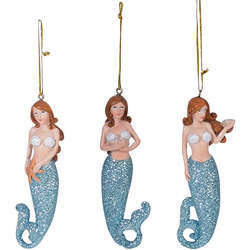 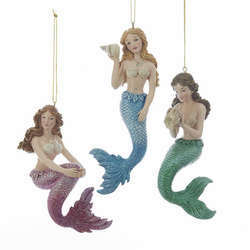 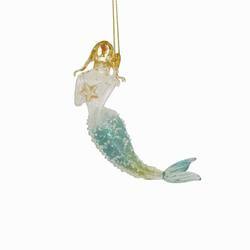 These Redhead Mermaid With Blue/Green Tail & Shell Ornaments are ready to help you explore the vast depths of the Atlantic, Pacific, and more! 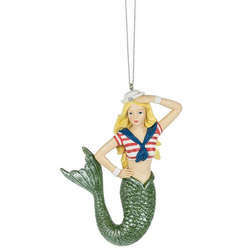 Embark on a fun-filled nautical adventure this season! 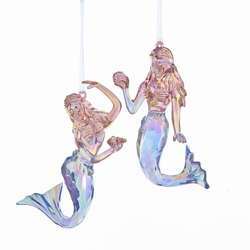 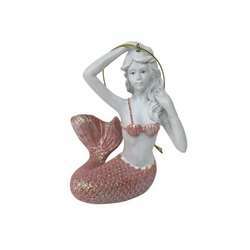 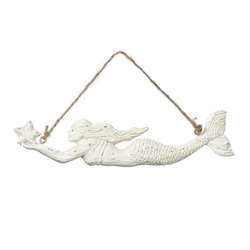 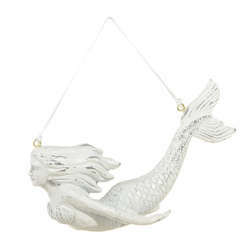 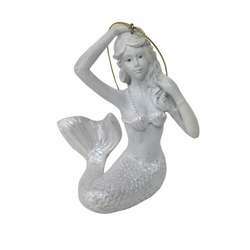 They're crafted from resin and measure 4 inches by 1 inch by 1 inch in size.